HVAC Maintenance & Service; Maintaining an HVAC (Heat, Ventilation and Air Conditioning) unit is important to prevent major problems from affecting your home or business. Eco Cleaning Services, Inc. provides complete HVAC maintenance and repair services for your entire HVAC system, including your heater, air-conditioning, furnace, and heat pump system. From emergency repairs to routine maintenance, we make sure that your HVAC system is working the way it should to help save you money and stay comfortable all year long. Eco Cleaning Services, Inc. uses the source removal method of air duct cleaning to remove built up deposits from your ducting and HVAC units. Removing contaminants from your coils, plenums and exchanges can improve the air flow, making your system run more efficiently and reducing utility costs. 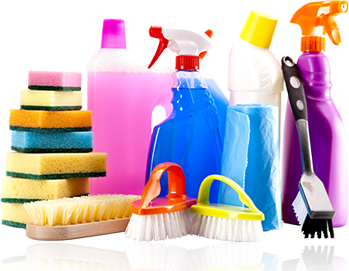 Eco Cleaning Services, Inc. professionals will assess your system and recommend a cleaning protocol based on your individual needs. Count on us to provide thorough inspection and preventative maintenance services for your building’s heating and air conditioning systems. If you have any type of HVAC Repair work required in greater Toronto, give us a call today. We’ll be more than happy to come to your facility to give you a FREE NO OBLIGATION quote on any HVAC repair work you require.